The all-new Aui Q8 is the first coupe-SUV from the Ingolstadt-based carmaker and will be the flagship Q model. Slated to arrive later this year, the SUV will rival the BMW X6. 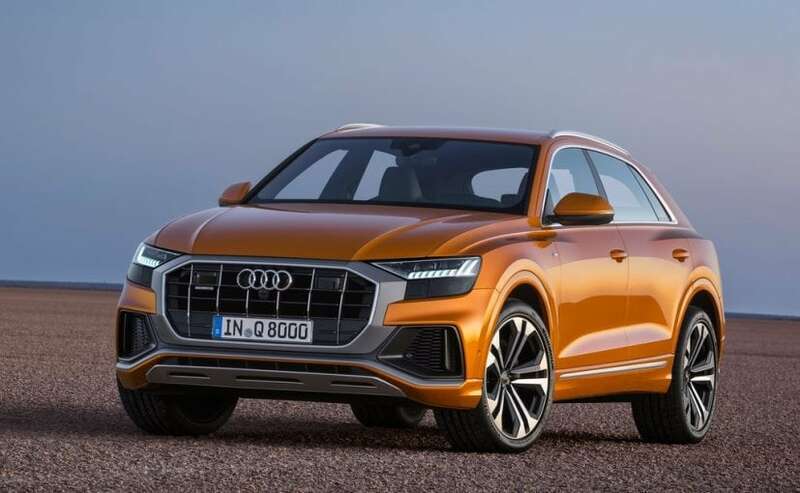 After flooding the internet with a host of teaser images, the much-anticipated Audi Q8 luxury coupe-SUV has been officially unveiled today and boy this one is a looker. This is the first coupe-SUV from the Ingolstadt-based carmaker and will be the range-topping model in Audi's Q line-up, which was up until now led by the Audi Q7. 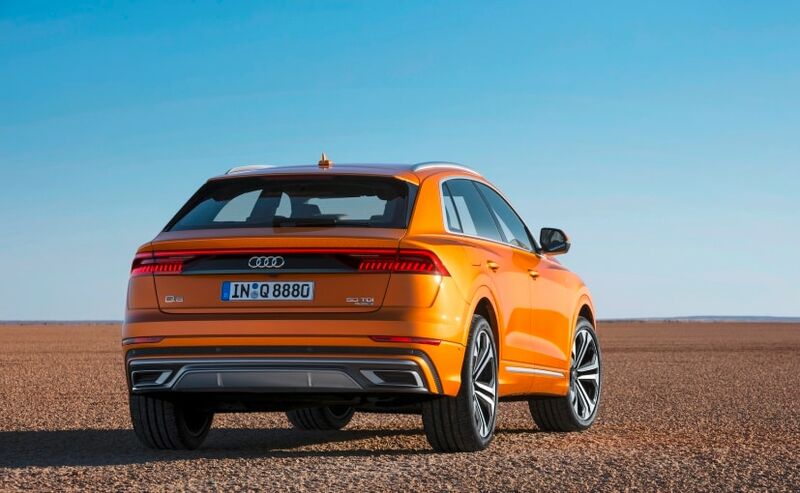 The production version of the Audi Q8 retains most of the visual cues that we saw in the concept model that was showcased early this year at the Geneva Motor Show. 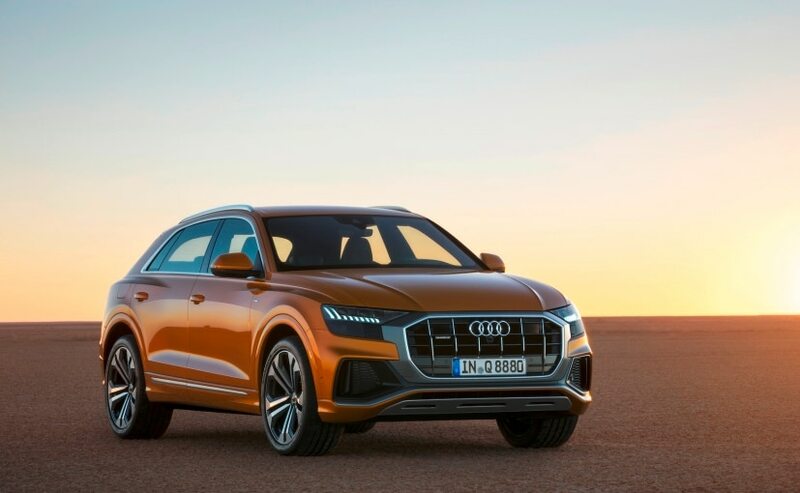 The Audi has announced that the Q8 will be launched in the European market in the third quarter of 2018, and will take on what practically invented this segment, the BMW X6. 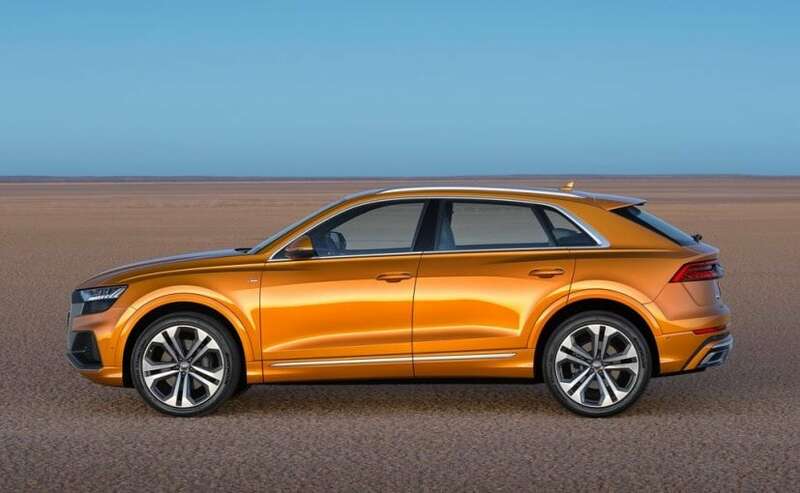 The new Audi Q8 is built on the same aluminium-rich platform that underpins the like of the Audi Q7, the Lamborghini Urus and the Bentley Bentayga. 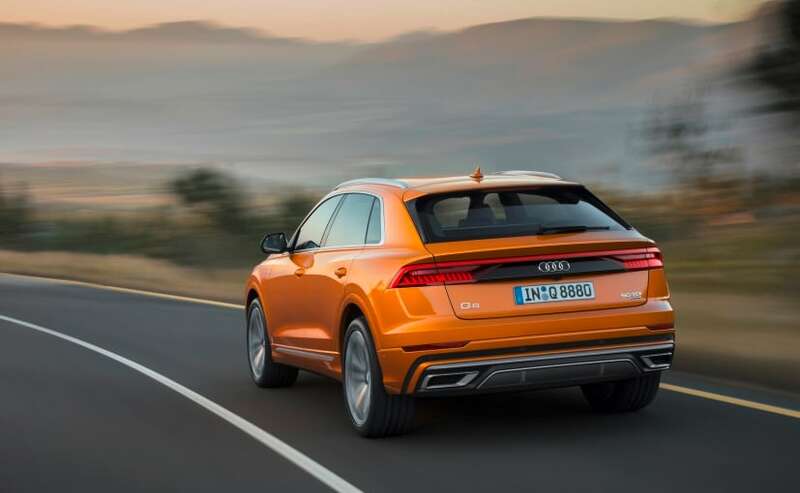 In terms of dimensions, the Audi Q8 measures 4999 mm in length, 2011 mm in width and 1710 mm in height, which makes the Coupe-SUV wider, shorter and lower than its Q7 sister model. Visually, the Q8 comes with an imposing stance accentuated by the bold and aggressive face which comes with a large single-frame grille with fat borders with both vertical and horizontal slats that come with chrome highlights. The grille is flanked by a pair of sleek LED headlamps with HD Matrix LED technology available as an option and 3D-effect daytime running lamps. The front bumper comes with a beefy skid plate and large air intakes, while the sloping bonnet features prominent character lines adding to the a muscular look of the new Q8. The profile of the Q8 also looks well-designed with the sloping roofline that seamlessly merges into the inclined D-pillar and rests against the quattro blisters above the flared wheel arches, which house a set of 22-inch wheels. The SUV also gets a bold shoulder line, sculpted doors and chrome details that oozes premiumness. The rear section comes with roof-mounted spoiler and wide LED taillamps with a digital character, which are connected by a light strip creating the impression of one single unit. The rear bumper looks well-designed and features a mesh design element that houses the sensors, while below we have the rear skid plate and styling inserts finished in dark chrome. The Q8 also comes with a spacious cabin as well, courtesy of its long 2987 mm wheelbase with a five-seater layout and three-seat system in the rear with longitudinally adjusting upon request. The centre stage in the cabin is taken by 10.1-inch MMI touch response display on a piano black dashboard layout, similar to the A8 sedan. There is another 8.6-inch digital display below for the air-con system and other in-car controls, while the instruments are shown in the fully digital Audi virtual cockpit. Its high-resolution 12.3-inch display can be switched between two views via the multifunction steering wheel. The system also gets the Audi connect data transfer module with the LTE Advanced standard and a Wi-Fi hotspot. On the equipment front, the SUV features a host of tech like adaptive cruise assist, efficiency assist, crossing assist, lane change warning, curb warning and 360-degree cameras. One highlight is the remote garage pilot, which will come in early 2019, allows the drive to guides the SUV into a garage and back out again autonomously, and all can be done by the myAudi app on their smartphone. Behind all of these features is the central driver assistance controller. It continuously computes a differentiated model of the surroundings and uses this to manage the assistance systems. The required data are obtained - depending on the selected options - from up to five radar sensors, six cameras, twelve ultrasound sensors and the laser scanner. The detailed engine specification will be revealed at the official debut of the SUV, later this year, but we know that the Coupe-SUV will come with a range of petrol and diesel engine options. Audi will also be offering a new mild hybrid technology (MHEV) aided by a 48-volt primary electrical system with a lithium-ion battery and a belt alternator starter. Initially, the SUV will get a 3.0-liter V6 TDI in the Q8 50 TDI variant delivering 286 bhp and 600 Nm of torque, which are channelled to all four wheels through an eight-speed tiptronic automatic transmission and Audi's Quattro AWD system. Later the Q8 will also get a less-powerful 3.0 TDI and a 3.0 TFSI petrol variant offering 340 bhp.